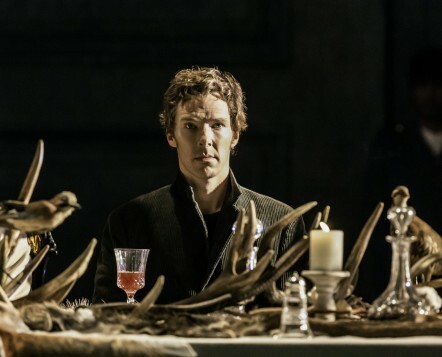 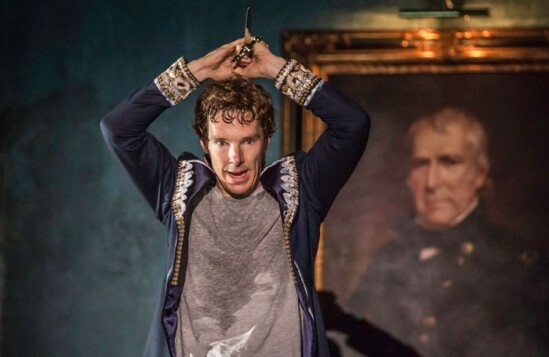 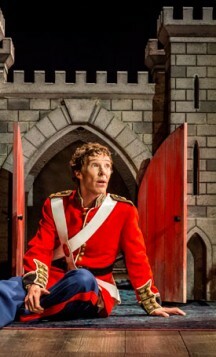 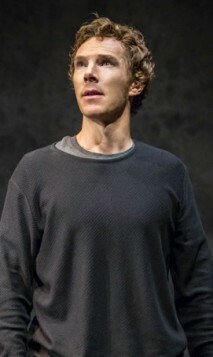 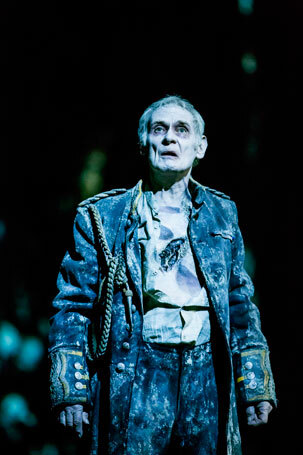 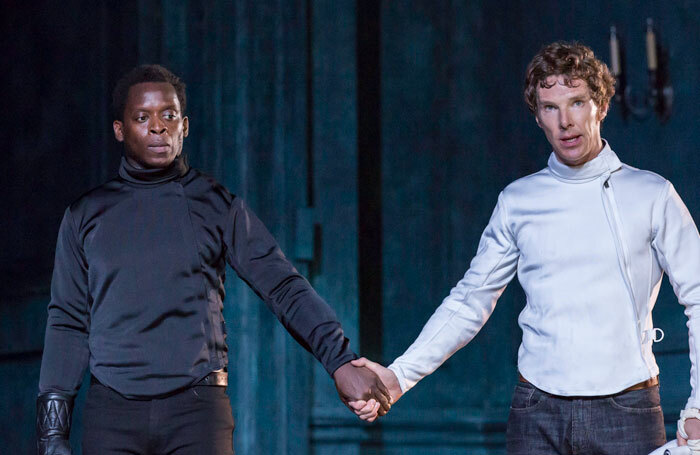 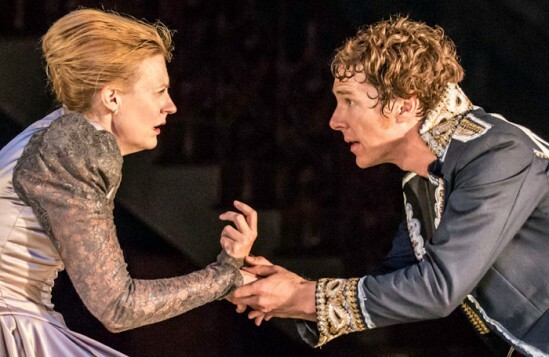 Anything that gets people talking about the theatre has to be a good thing – and there’s no doubt that Benedict Cumberbatch’s Hamlet has been the most talked about sensation of the summer, at least in terms of media coverage, with at least two newspaper critics and one columnist breaking both convention and respect and reviewing it at its very first public performance. As Hamlet himself says at one point, “The readiness is all”; no show is ready for critical appraisal at that stage. 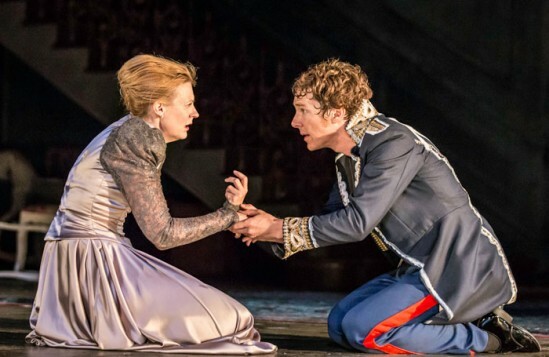 Admittedly, previews have been sold at full price, which is probably arrogant – they can’t have it both ways – but serious changes have occurred in the weeks since previews began. 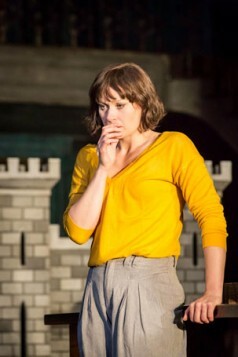 One much trumpeted (and criticised) intervention, the placing of the ‘To be or not to be’ soliloquy at the start of the play, has since actually been moved into Act II, one of several significant textual changes in Lyndsey Turner’s production. 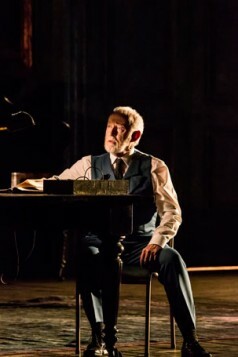 In fact, the production begins with a misappropriation: Hamlet – sitting on the floor surrounded by packing cases as Nature Boy plays on the record player beside him – utters the words usually spoken by Bernardo on the ramparts of the castle – “Who’s there?” – when he’s actually inside one. 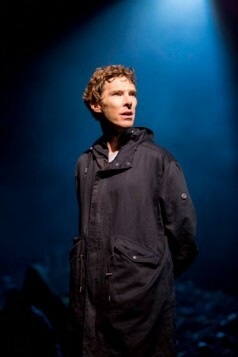 More importantly, though, the show quickly establishes where there is. 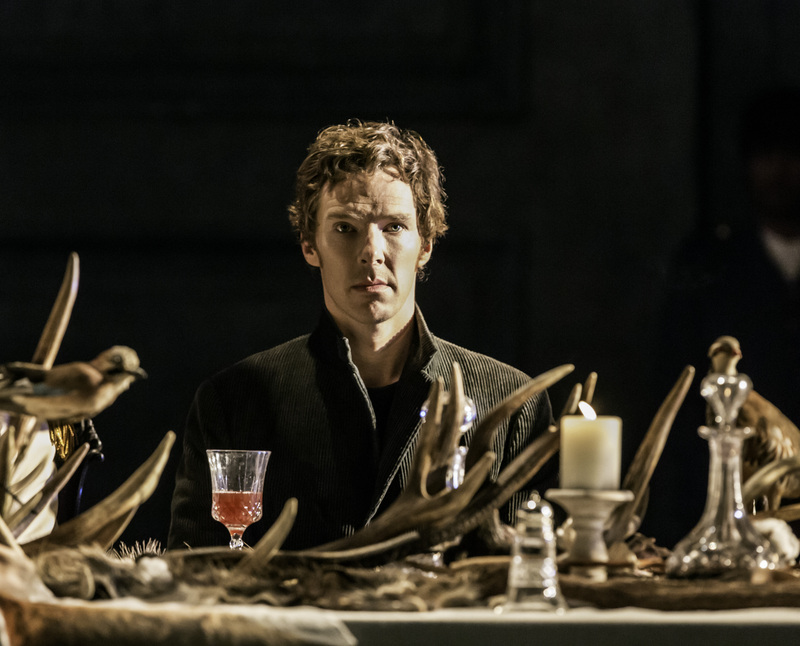 The wall lifts to reveal Es Devlin’s set: we are inside an opulent public room of a galleried Danish royal palace, glittering under a chandelier. 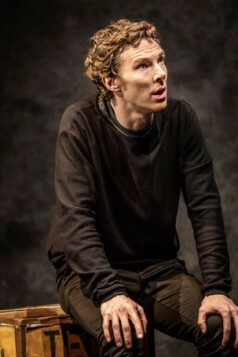 Hamlet himself stands out in these formal surroundings in his casual modern dress. 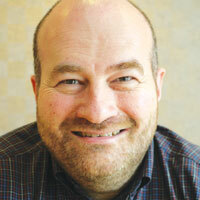 He’s already an outsider, as events will soon prove when this churning, chilling political thriller unfolds. 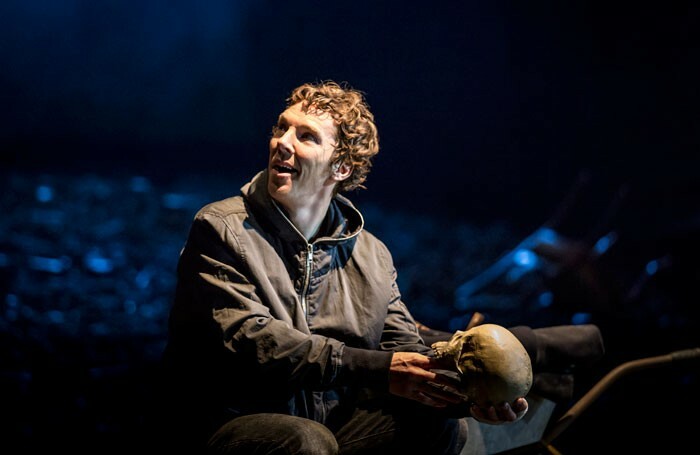 Something is indeed rotten in the state of Denmark. 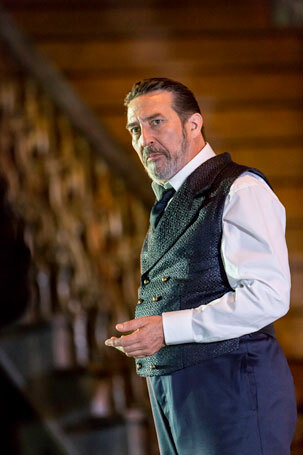 That something is the circumstance: his mother Gertrude’s “o’erhasty marriage” to his uncle Claudius, played by the brittle and brilliant Anastasia Hille and the imposing Ciaran Hinds. 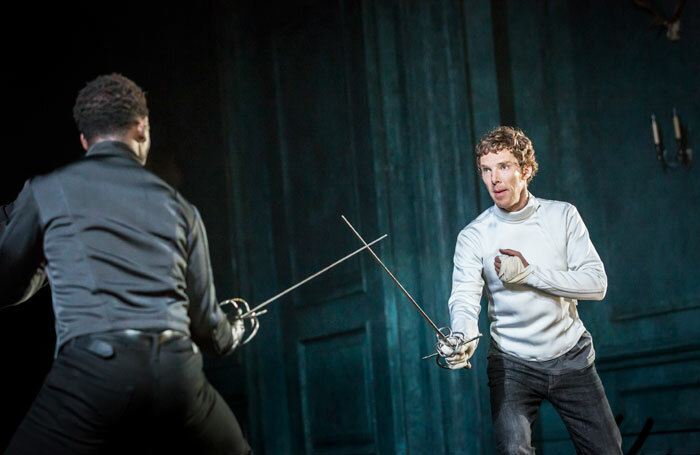 They’re a constant focus, not just of Hamlet’s obsession with getting to the bottom of what happened to his father, but at the dark heart of the production. That darkness is occasionally literal – as lit by Jane Cox, the action is frequently played in crepuscular shade. 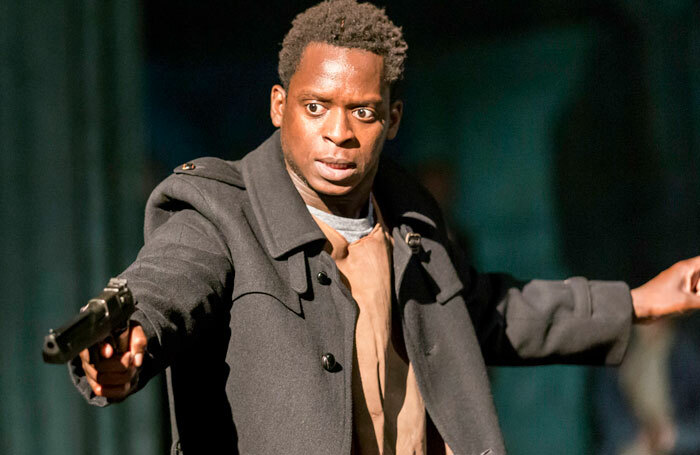 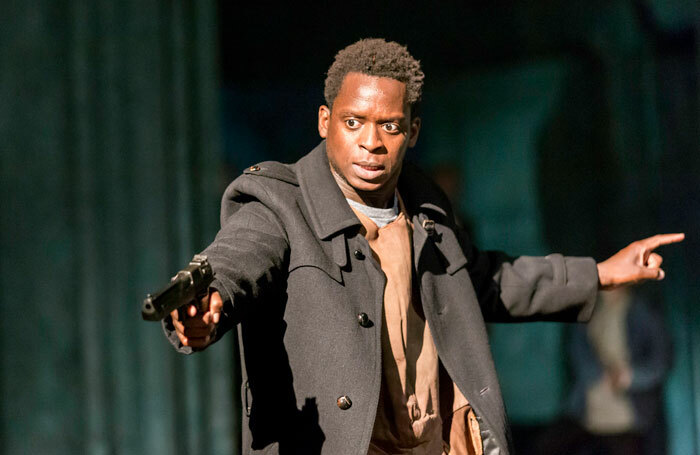 There’s also particularly strong work from Leo Bill as a sympathetic Horatio and Kobna Holbrook-Smith as a grieving Laertes, respectively friend and foe to Hamlet. 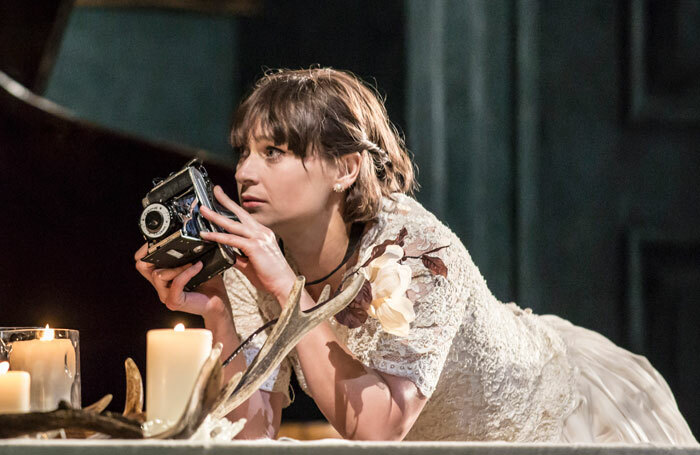 Turner imposes her own frequent directorial flourishes to the staging, as the actors go into slow-motion movement or adopt freeze-frame poses. 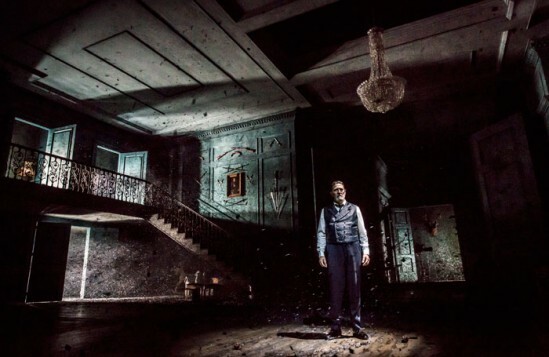 There’s also a cinematic flourish to the widescreen stage of the Barbican itself, which seems as deep as it is wide. Cumberbatch, lately better known for his Oscar-nominated film work and television fame, but who began his career in the theatre, brings a close-up, brooding intensity to Hamlet that hovers between both worlds. The production bridges the epic and the intimate, and straddles the naturalistic and the heavily stylised with fluid ease. The entire run is sold out, but the performance on October 15 will be broadcast live from the Barbican as part of NT Live.